The story of one man&apos;s life-long contacts with non-humans. You will find here my personal experiences and conclusions. Make of it what you will. How I discovered I might be an alien abductee. This is what I knew in the spring of 1992. I had managed to convince myself that maybe there was such a thing as people being abducted by aliens; and maybe it had happened to me…in the past. But fortunately, if it had ever happened before, at least it didn&apos;t seem to be happening now. I couldn&apos;t have been more wrong. As the days grew shorter and colder, Dad stayed home more. He wasn&apos;t feeling well. I was unaware of details and didn&apos;t know how long this had been going on. One day I asked how come he wasn&apos;t going to work. Growing evidence that alien abductions are real…and happening to me. A couple of mornings later when I took my shower, I felt a stinging burn on the knuckle of my right index finger which made me inspect it. It was the kind of burn you&apos;d get if you held your knuckle against a hot iron skillet. I hadn&apos;t done that; I was microwaving my dinners. But it looked like that. And I was certain I had not burned myself the evening before. Like the bruises and the sore fingertips, this had somehow happened overnight. All about my first face-to-face contact with an extraterrestrial. Then, one night at home, I was awakened by the sensation that I was sliding off my bed. My first thought was that my waterbed had collapsed, and the mattress was slinking to the floor and taking me with it; and my first impulse was to grab hold of something to stop myself. However, I couldn&apos;t grab anything, because I couldn&apos;t move. I was paralyzed. All about the two hours that went missing one night while moving from Florida to New Hampshire. One of the most universal aspects of the abduction phenomenon is that of "missing time." This occurs when an abductee runs out to do an errand and comes back two or more hours later than he or she should, with no memory of what occurred in the missing hours, or (usually) even any idea that hours are missing. I had never before suspected the government had anything but my best interests at heart. Now I wasn&apos;t so sure. Even though MUFON and the media had no obvious connection to the government—they claimed to have none—if they were both lying to achieve the same end of obfuscation, whose end were they trying to achieve? Certainly neither the media, which could sell millions of UFO books and movies, and MUFON which could get millions of new members, had anything to gain by pretending there weren&apos;t abductions going on. All the thoughts that go through one&apos;s head the morning after their first conscious abduction. I realized I had to learn to whistle the alien equivalent of "Dixie". But as long as we hold onto that anger we cannot. Abductees must free ourselves of the mistaken notion that we, personally, are being violated. Whatever is happening, is happening to our species, not specifically to you because some alien has inexplicably developed a grudge against you. The fact is, we donï¿½t know what&apos;s going on. So, until we do, put yourself into learning mode. Keep your eyes and ears open. Note as many clues as you can. Don&apos;t just be a victim; be a rescuer…and maybe you can rescue yourself. What are the actual symptoms of being an abductee, and what percentage of the population has them? When I joined the CompuServe support group, I discovered that this is typical of abductees. I also discovered that abductees have some very surprising things in common. Every abductee has his or her own story as to how he or she became aware of the abductions. Abductions occur all through an abducteeï¿½s life, but there is one seminal moment when the horrifying reality is forced upon the abductee. Ready or not, here they come! The abductee may or may not have suspected these contacts were going on. He or she may or may not even believe in "aliens." I have received permission from several other abductees to print here their descriptions of the first time they realized they were, in fact, abductees. How to use self-hypnosis to explore any abduction experiences you may have had. I took off my pack and sat on one of the boulders and waited for the UFO. But really that was just an excuse. It was so beautiful and so right being there, that even if there weren&apos;t any aliens I was glad I had made the trip—one I would never have made if I hadn&apos;t been UFO hunting! All about communicating with non-human abductors. Suzette was in agony. "I had a visit last night," she typed from her home in West Virginia, referring euphemistically to an abduction by non-humans. Several of us were logged into the Abduction Support Group of the Encounters Forum on CompuServe. "They operated on my right knee. When I tried to get up this morning, there was such a sharp pain I just collapsed onto the floor." Under hypnosis, Betty drew a copy of the map. However, in 1969 there were no stars known in the heavens that corresponded to those on the map; and while some thought it might just mean the star map was using a different spatial perspective than we have on Earth, others of course thought this "proved" Betty&apos;s story was false. Phillip Klass, in particular, made much of the fact that a "hand-drawn map" could be no more than 20% accurate; and that hundreds of stars matched her map within 20% relative placement. All about my close encounter of the FIFTH kind: A conversation with an actual alien. "There is a crisis point at the end of this century," Vincent explained. "There&apos;s a good possibility that a world-wide computer malfunction will so confound shipping that food won&apos;t reach the citizens and all governments will collapse. If that happens, local dictators will arise; and some will arise in locations, like the American Midwest and the former Soviet Union, where there happen to be nuclear weapons. If they can be made to operate, there is almost a certainty that at least one of them will be fired, which will detonate many of the others in retaliation. That will almost certainly cause the extinction of Homo sapiens." I am asked to join a secret government agency…maybe. I&apos;m not a huge fan of the Dutch Pantry, a chain of restaurants that I&apos;d hoped had closed years before. And neither was anyone else; which is probably why Arcadia chose it; she and I were the only guests there. After the waitress had taken our order, Arcadia said to me, "I have to make sure you know I&apos;m serious." She pulled her vest up a bit to reveal a pistol tucked into the waistband of her slacks. And then I awoke, sort of, suddenly, on my back. I was conscious but felt sedated, confused. I was lying on some kind of gurney being rolled down a narrow corridor with lights and pipes and cables lining the ceiling. I could see the legs of the beings moving me; I knew they were aliens because they didn&apos;t move the way human legs do. They skittered, more than walked. I couldn&apos;t move, of course, not even when we entered a chamber and I was rolled onto my stomach—but not before I could see the machine I was being rolled under. It was black and curved, with a single downward-pointing needle protruding from it. How the government guy who was supposed to be &apos;watching out for me&apos; outed me as an abductee. I opened my mouth to say, then realized it was just too dramatic that I&apos;d been taken the previous night. It was the truth, but it lacked credibility. It sounded unbelievable. But before I could make up a believable answer, Rusty gasped. "Oh, my God!" he guessed. "On this trip?!" In case I needed reminding, some humans are far weirder than some aliens. The word that there was an alien abductee among the passengers spread rapidly. By the next morning, everyone seemed to know and they also seemed to know it was me. I was surrounded by expressions ranging from sympathy to simple disbelief to disgust. The layers of people&apos;s personalities peel back just as Grand Canyon reveals its layers of geology. By one o&apos;clock all the new passengers but the generals had arrived. New passenger Larry knew exactly why they were late. "They said they had marched in Korea and they had marched in Vietnam and a silly little nine-mile downhill hike was no reason to get up so early," he reported. They had slept in while the other passengers began the trek. And now the others were here at the river, but the generals were not. So we waited. It wasn&apos;t bad enough to be an abductee; now I was under attack by humans. And there I was, in the truck. In front of the glove compartment. Where, I&apos;d been told, was a gun. All about the time Lucy Ricardo and Superman showed me the underlying construction of the Universe. I spent the nights of November and December of 1994 going to school. High strangeness brought to a whole new level. And even though particles and conventional energies cannot move from one universe to another, my lessons had shown that "spirit" can. Just as Einstein proved that matter is formed of energy, my lessons had showed that energy is a form of spirit. And in its natural state, spirit can move along the chain of universes. Thus, though my physical body hadn&apos;t gone anywhere, the spirit animating it—me—had shifted to a parallel universe where Paul Cilwa had been scheduled to teach Visual C++ (not Visual Basic); his ex-wife had not borrowed the car; he&apos;d gotten very friendly with Ken the handyman but had never gone snorkeling with Captain Tom. All about the time a witch hooked me up with a boyfriend in order to break my heart. Only my naiveté had saved me from the psychic attack. that may or may not have originated with the now-unreachable Arcadia. It was, likewise, only my naiveté that kept me from realizing a second attack would be inevitable…and more subtle. How I got the Universe to get me a date for my next Grand Canyon rafting trip. I had gotten to the point where the pain in my gut was a solid, continuous ache. I could still function as a normal human being most of the time, but the gap in my soul where Steve had been still throbbed and demanded attention like an open wound. All about how I brought, and lost, a date to Grand Canyon. I was just starting to doze off when a severe bumping jolted me awake. My eyes flew open and I saw that we were off the left side of the road, heading for the ditch! David was staring, terrified, both his hands in the air as if he had already given up and was waiting for Jesus to take the wheel. I grabbed it with my left hand and wrenched the car back onto the blacktop. When we were safe again, I said, "Would you like me to drive for awhile?" David was so shaken I had to instruct him to remove his foot from the accelerator so the car would slow down and I, still steering, could guide it to the right hand shoulder. How I failed to commit suicide. I looked below, past the feet dangling over the cliff edge. Two hundred feet isn&apos;t all that far, but it would probably do the trick. The rocks below were hard and jagged. I would fall 32 feet the first second, 64 the next, and hit during the third. Three seconds. It wouldn&apos;t last all that long. A common debunker trick is to accuse an abductee of mental illness or dishonesty. Here&apos;s the flaw in those accusations. "Normal" people, that is, people who haven&apos;t been abducted by aliens or ever seen a UFO, are notoriously limited in what they accept as normal. A "normal" person can&apos;t be (or at least, act) gay, a member of another race or culture or religion or political party. Anyone who presses the edges of the box that passes for normalcy for these people must be explained away. They can be sinners, animals, wops or spics or kikes, liberals or wingnuts or whatever—any label serves the single purpose of pushing its bearer far enough outside that box of normalcy so they (and what they represent) can be safely and handily ignored, rejected, dismissed. How I said hello to Michael, and farewell to the aliens. I was teaching a class in New York City, next door to the World Trade Center. With one day of class left, I had little to do in the evening so decided to drop by a gay club that was located not far from my hotel. The place wasn&apos;t crowded, but it was one of those places where the habituï¿½s very carefully don&apos;t look at anyone else—except one person, Michael, who displayed a brilliant, open smile the moment he saw me. There is an impressive amount of evidence supporting the idea that extraterrestrials have been behind Human advancement since the birth of our species. And if Sitchin were right, and aliens had genetically engineered our species—and if those same aliens were the ones doing the abductions—wouldn&apos;t there logically be an organization devoted to suppressing this information? Wouldn&apos;t that organization be headed by those very same aliens? In my night classes, one of the visitors&apos; key points was the difference between knowledge and belief. In today&apos;s media-saturated world, nearly all of what we think we know, we actually take on faith. Unless you, personally, have measured it, the "fact" that the speed of light is about 186,000 miles per second is actually just a belief—and, even if you have performed the measurement yourself, do you know of your own experience that the measuring equipment is correctly calibrated? Almost 30 years after I first discovered the evidence of my own abductions, and a quarter century since they ended, I&apos;ve had plenty of time to think about what it was all about. We certainly established, in the Abductee Support Group, that the abduction phenomenon bears every sign of being a breeding program. And, especially when so many abductees have so many things in common that are found far less often in the general population (like working and useful psychic "powers") it seems as if we were being selected for those very traits. The mysterious dreams shared by the members of the support group. 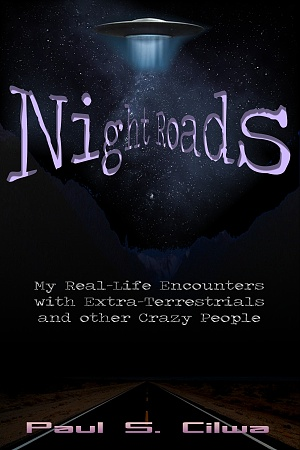 You&apos;ve read about my personal experiences with aliens and alien abductions. You&apos;ve read some of the experiences other members of the Abductee Support Group shared, as well. But something I&apos;ve left out is a weird series of dreams that came along. To be honest, I&apos;m not sure what to make of them, myself. In fact, I almost didn&apos;t publish them at all.